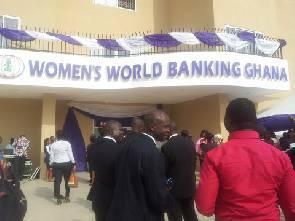 Women's World Banking Ghana (WWBG) a Savings and Loans Company that provides lending services to low and middle–income women entrepreneurs and households in Ghana has opened a new office in Accra. Speaking at a brief ceremony to open the new ultra-modern head office at Tesano in Accra, the Managing Director of the company Ms. Charlotte Lily Baidoo expressed the need for women to have better and quality access to financial resources to grow their businesses and support their households. This she emphasized had been a mission of the institution. “As a savings and loans company, WWBG has been in the forefront of serving the needs of women, and other entrepreneurs in the markets we serve, as couched in our mission statement and objectives,” Ms. Baidoo said. “In terms of products and services, WWBG caters for the needs of the small entrepreneur, market woman, table-top trader as well as the Kayayei. Through our door-to-door banking services we reach out to the banked and unbanked in all market centres, where we mop up their excess liquidity for safe-keeping toward a rainy day,” she added. With its deposit products which include savings, checking, and fixed deposit accounts. The company’s loan products portfolio comprises micro business, financial intermediaries, SME, and consumer loans that include working capital loans for individuals/institutions in the small/large/micro segment of the microfinance market; personal loans for clients in the high net worth earning segment or salaried workers in public and private sectors; and trade finance. The institution has for over 27 years in existence played tremendous role in the livelihood of low and middle income women entrepreneurs in the country. However, WWBG do not only cater for women alone but other category of people who needs financial facilities and services. In his remarks, the board Chairman of WWBG Mr. Keli Gadzekpo recounted how the company had grown in customer and staff strength over the years. As an NGO initially which trained women on how to manage their businesses and basic business record keeping. It also guaranteed women entrepreneurs to take loans from local banks to support their businesses. Then a “SUSU” through which contributors obtained finance for their operations was also introduced. 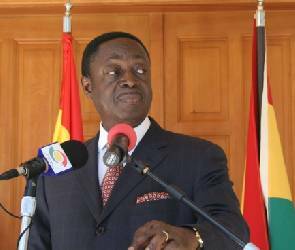 In 1996 the institution became regulated under the Central Bank of Ghana as a deposit taking and loan granting financial organization. “Starting with customer strength of 20 women, it has now grown considerably to over 80,000 customers, both male and female as at the end of December, 2015” he explained. Women’s World Banking Ghana, a savings and loans company, has more than 60 percent of its active clients being women; and with a staff strength of over 200, about 65 percent of them are women. Dignitaries present to grace the occasion were the Guest Speaker, Rev. Mrs. Rita Korankye Ankrah, Dr. Nashiru Issahaku, representative of the Deputy Governor of the Bank of Ghana, Elizabeth Boehof of Good well West Africa and representative from Ghana Association of Savings and Loans Companies.